In the product description section below you can find the full standard contents of the Battlebox. 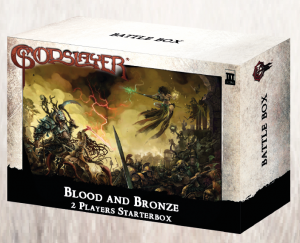 For KS backers only we will be able to swap the Halodynes and/or Banebrood for one/two warbands of the the other four factions in your battle-box. The price stays the same we simply swap the warbands. In the notes section of your delivery page on our mail order YOU WILL NEED TO SPECIFY if you want alternate factions. If you do not, we will send you the standard Banebrood and Halodynes.